Shredding expired, confidential documents is required in many industries and is a recommended practice for all businesses. But when you use a shredding service and put your documents in the care of third party shredder, you need to know you can trust them. The chain of custody is designed to ease the minds of business owners who use shredding service providers. Learn exactly how it works in this video, or read the transcription below. In the shredding industry, the chain of custody (CoC) is the paper trail detailing the time from when your documents left your possession to when they were eventually shredded and recycled. The CoC includes details like who comes in contact with papers and where they are at all times, with information such as where they were picked up, when they arrived at the facility, and where and when they were finally destroyed. A barcode scanning system used to track each touch-point provides a verifiable record of where the boxes were picked up, when they were dropped off, and when they were shredded. Locked bins are provided for storing papers to be shredded. When collected for destruction, bins are kept locked and then loaded onto the truck, and if the shredding in done onsite, arms on a shred truck can dump the papers in without needing to open the container. Shredding truck fleets equipped with GPS-tracking systems help providers monitor real-time locations of trucks and record the history of the vehicle’s routes and stops. All shredding facilities are equipped with video monitoring and recording equipment so that all shredding is carried out under camera surveillance and recordings can be used as proof of safe service. These bins remain locked until the moment the papers are shredded, helping to ensure your information remains secured throughout the process. When bins are ready for pickup they’re loaded and transported to the offsite facility. 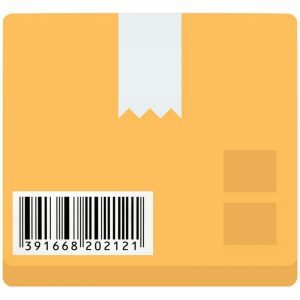 Using barcode scanning at touchpoints, containers are tracked from initial pickup to eventual shredding. After they arrive, the shred bins are dumped into industrial shredders. Once shredded, the paper bits are baled and sent for recycling. Next the ink is washed and shreds are pulped and recycled. With the information now completely destroyed, you’re finally given a certificate of destruction to complete the chain of custody process. Acting like a receipt for the shredding service, they serve as proof that your information was shredded safely and in compliance with all industry laws and regulations. 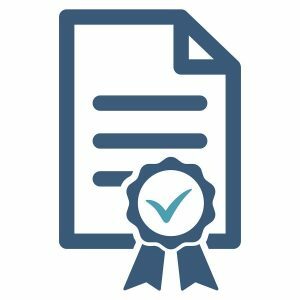 Certificates include details of the chain of custody during service such as when and where it took place, barcode numbers and touchpoint times, and witnesses to the destruction. Want to Be Sure Your Shredding Process is Secure? Get the details of your full chain of custody with shredding services that’ve been trusted by companies like Amazon, Allstate, and Apple. Call (800) 747-3365 or fill out the form on the right for free quotes on shredding services near you.